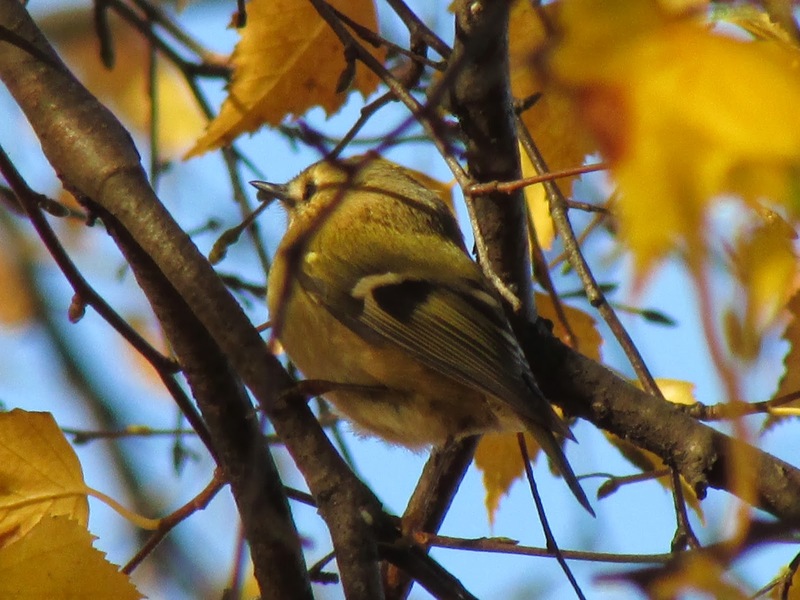 I watched a Goldcrest busily foraging amongst the golden leaves of a birch tree earlier today. I had not considered taking a photo until I noticed the bird had stopped. It fluffed up its feathers and sat for a rare spot of sunbathing. It has been a lovely sunny mild day today and I is the first time I see this bird sitting still. Oh, weren't you lucky to be there just at that moment? Good shot, the colours are marvellous.